With thousands of transactions, we have seen a lot. 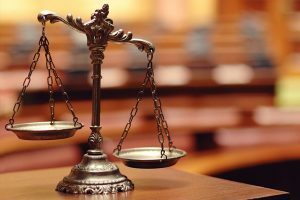 Why you need to use a Toronto Real Estate Lawyer? When purchasing a new property in Toronto or GTA, many people don’t seek the assistance of a professional real estate lawyer due to perceptions of increased cost and added transaction complexity. At the same time, real estate agents themselves will often offer to take care of all the legal requirements associated with land title transfers and new property purchases. However, it is important to understand the shortcomings of such services. Run a title search in order to check that there are no covenants, easements or liens registered against a property. 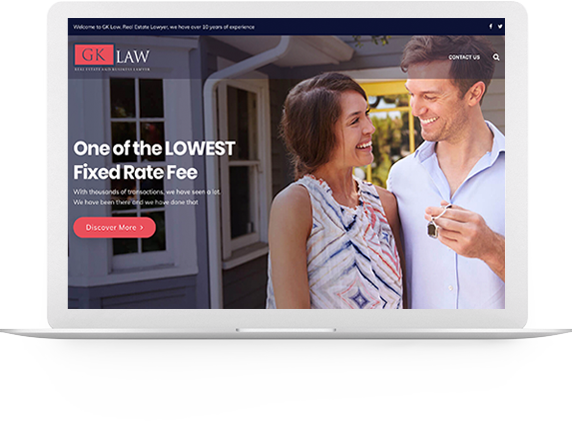 GK Law is a personalized Real Estate Lawyer firm that exceeds expectations in meeting all its client’s legal needs for real estate and business law. Whether clients are first time buyers or have purchased properties in the past, there can always be intricacies surrounding each unique transaction. GK Law’s legal team facilitates the negotiation and transaction completion process, along with assisting, understanding and calculating tax implications, whether land transfer taxes, property taxes, HST or even income tax. GK Law will complete various title and off title searches, and ensure that their clients have secured the correct property, free and clear of liens and other encumbrances, and ensure that proper insurance for their residential or commercial property has been obtained. The lawyers at GK Law work hard to protect their client’s legal rights for all their real estate and business transactions. At GK Law, we have over a decade of experience closing well over 10,000 transactions. We treat each of our clients as we would our family and friends, delivering warm and client focused service in Toronto and GTA. GK law would be pleased to provide you with a complimentary initial consultation and a no obligation quote for our legal services on any transaction. Thankfully, our residential real estate lawyer can help you save time and money when purchasing a residential building. We will help secure your personal financial interests, minimize the risk associated with any new transaction, and secure your legal rights throughout every step of the purchase process. I've used Gabriel for several real estate closings over the last 8 years. He is very knowledgeable and I fully trust his expertise; which is why I continue to use his services and am comfortable referring him to others. Very knowledgeable Real Estate lawyer. Very trusted and professional! Gabriel K. will close any problematic deal with no headache to you. Gabriel and his staff are dedicated to their clients. Gabriel has the ability to take a difficult situation and turn it into a walk in park . I have always said Gabriel is the lawyer you want on your side when something doesn’t go to plan. Thanks so much for taking care of my family and me in our Real Estate endeavours. Excellent turn around time and all around responsive staff. Always a please working with GK law. They provide an excellent consistent closing service for all of my clients. When purchasing building in Toronto, GTA or Ontario, new home buyers and sellers are often eager to close sales as expeditiously as possible. However, rushing to close a sale can often leave new home owners and sellers with unpleasant surprises. These can include unpaid tax liabilities and liens held against properties, transactions where money has changed hands for properties which sellers had no right to sell in the first place, and instances where people selling a home can sued for not disclosing accurate property details. 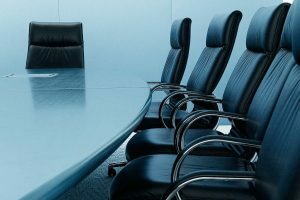 While a perception of increased cost might deter people from using a real estate lawyer in Toronto, it is important to understand than non-legal service providers aren’t obliged to adhere to the same standards of service as real estate lawyer themselves. If for example, a practicing real estate lawyer makes an error or an omission when helping you close a sale, they will be obliged to compensate you accordingly. Conversely, a non-legal agent won’t be. Moreover, errors and conflicts arising after the closure of a sale or property title transfer are more common than many people realize. Our real estate team is comprised of proactive, intelligent people. 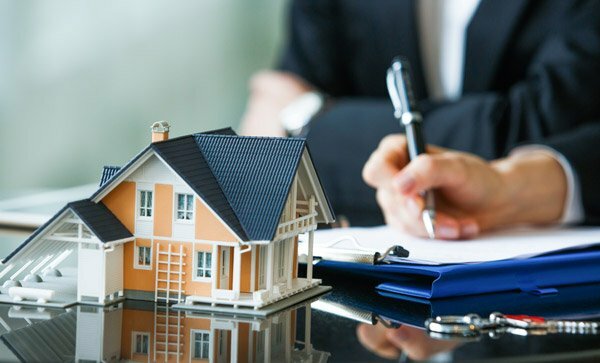 Because a real estate lawyer is acutely aware of all the risks, tax implications and legal challenges associated with purchasing a new property, real estate lawyer can actually help people reduce the overall cost of their next real estate purchase. Where a real estate lawyer discovers an outstanding tax or lien held against a property, he or she will often persuade selling parties to reduce their asking price accordingly. In like regard, when purchasing a condo, a real estate lawyer will discover and itemize closing cost extras such as development and landscaping charges. 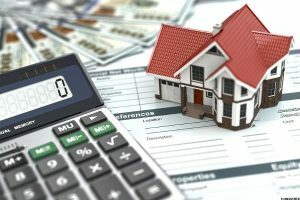 Moreover, if these and/or any tax liabilities remain unclear, a real estate lawyer will often request that a seller agrees to cap the overall closing cost so that buyers know exactly where they stand financially. Closing costs is an umbrella term for various fees and expenses that are payable on closing. These can mean anything from closing adjustments such as for prepaid property taxes and maintenance for resale properties, to builder adjustments such as paving, tree planting, Tarion fees, etc…to even Land Transfer Taxes and to even legal fees and disbursements. The term “closing costs” does not have a precise definition and will vary depending on whom you speak to. The purchaser pays the closing costs, which are paid at the time of closing. These costs are added to the total that is otherwise due and payable. For example, if your closing costs are $4,450, then this sum will be added to the monies that are due to the seller, but will of course be disbursed by your lawyer to the appropriate parties on closing. Your lawyer’s fees and disbursements will be lumped in as well. The land transfer taxes will be paid by your lawyer to the Province and the other closing costs will likely be paid to the seller with your lawyer retaining the monies that are payable to him on account of fees and disbursements and HST. Closings costs vary depending on the nature of the transaction. Newly constructed homes (i.e. builder purchases will include the cost of the Tarion warranty, the costs of tree planting, driveway paving, property tax adjustment, extension fees if any, NSF fees on deposit cheques if any, energization costs such as the installation of a hydro or water meter etc…). Not all builders charge the same closing costs. Resale homes do not have any of these costs. Closing costs are usually limited to an adjustment in respect of any prepaid property taxes, fuel oil tank (if any) and prepaid maintenance for the month of closing, in the case of condos. Again, your lawyers’ fees and disbursements may also be considered as closing costs. How much are typical closing costs for refinance? There are generally no ‘closing costs’ in a refinance transaction, other than legal fees and disbursements. Again, excluding the Land Transfer Taxes, the builder’s closing costs vary from builder to builder. A good rule of thumb is to budget for 1.0% of the purchase price on account of closing costs (excluding Land Transfer Taxes). Given the nature of the high prices, it is likely that the closing costs (excluding Land Transfer Tax) would constitute less than 1%. How to figure closing costs when paying cash? Whether paying cash or purchasing with a mortgage does not change the closing costs. The only cost that may change are that the disbursements with the lawyer may be a couple of hundred dollars smaller. Who pays closing costs on commercial real estate? The same as with residential, all closing costs are paid by the purchaser. A CAP rate is a type of ‘rate of return’. In simple terms, cap rate is a calculation of annual net rents (excluding financing costs) divided by the price paid for the property. For example, rents received are 100,000, then you subtract expenses such as property taxes, management fees, insurance costs etc…but NOT the mortgage, say $60,000 leaving you with net rents of $40,000. If you paid $600,000 for this property then CAP rate is $40,000 / $600,000 = 6.67% . There are other forms of ‘rates of return’. Financing will drastically alter the rate of return. Cheap financing will greatly increase the rate of return whereas expensive financing (i.e. high interest rate loans) will result in a lesser return. Since each person’s ability to finance the property varies depending on individual circumstances, the playing field is evened by eliminating financing as a factor and comparing the value of the properties as if they were purchased for ‘cash’ (i.e. without financing). This allows for a better comparison of prices between different properties and in evaluating a property’s potential, market participants need only to refer to a CAP rate with a higher CAP rate being more beneficial to the owner than a lower CAP rate, and thus a purchaser wishes to buy at a HIGHER CAP rate and a seller wishes to sell at a LOWER CAP rate. The lower the CAP rate the greater the price must be because as previously explained, CAP rate is inversely proportional to price. How long does it take to refinance a mortgage in Ontario? Refinancing a property in Ontario is essentially a two step process. First, you must be approved for a loan by a willing lender such as a bank and second, you (and most of the time the lender) will retain the same lawyer to receive mortgage instructions from the lender. The lawyer will then prepare the mortgage according to the instructions received from the lender and invite you (the borrower) into his office to sign the new mortgage documents. The lawyer will then receive money from the lender and disburse that money as needed with the net left over to you, the borrower. At the same time, a new mortgage will be registered on your property and in a short while thereafter the old mortgage will be deleted from your property. Can a foreigner purchase property in Ontario? Many clients and agents ask this question to assist their foreign potential purchasers with purchasing a property. The simple answer is YES. Any legal entity (individual person, corporation, partnership or trust) whether foreign or domestic, may purchaser real estate in Ontario. What happens if the seller is a non-resident but the property is mortgaged beyond 75% not leaving sufficient proceeds of sale to be held back on closing for the 25%? This is a problem. Jokes aside, the seller will either have to bring money to the table on the sale (unfortunate as that may be). Or other arrangement may need to be made. This FAQ section cannot accommodate an explanation for this. You will need to speak to your lawyer. However, given that the foreigner likely had to put down 35% upon purchase and the property hopefully increased in value over time, this type of situation is rare. Are there any restrictions on foreigners purchasing real estate in Ontario? NO. There are generally no restrictions. Can the seller’s lawyer disburse the money to the seller by wiring it overseas? Generally yes, unless of course there is some suspicion that this should not be done for legal reasons. Generally, there should be no reason why the seller would make such a request, unless perhaps the seller has closed all his bank accounts because he is emigrating to another country. Can a foreigner get an Ontario bank loan (mortgage) to purchase real estate in Ontario? Generally yes. This is a question that should be directed to your local mortgage agent/broker. However, generally a foreigner should be able to obtain a mortgage loan in Ontario given enough of a down payment. Generally, a 35% down payment is required. Furthermore, the foreigner may need to prove some sort of income in his local country that would enable him to support the mortgage loan, but will likely require a reference letter from his foreign financial institution. Credit bureau checks do not account for as much because there is likely no bureau file. Again, this matter should be directed to the mortgage agent/broker. As a foreigner, do I qualify for the HST new housing rebate provided by the Canada Revenue Agency for the purchase of new construction? There are two HST rebate programs. One program is for purchasers who intend to reside in the property and the other program is for purchasers who intend to rent the property. Since a foreigner will likely be purchasing the property for rental purposes, the foreigner will be able to apply for the HST rebate through the rental rebate program. This amount is the same as the amount provided under the owner occupied HST rebate program. The difference being is that on closing, the builder will not credit the HST rebate to the purchaser and the purchaser will have to pay this amount to the builder in addition to the purchase price. After closing however, once the purchaser has rented out the property he will be able to apply for the HST rebate through the rental program. Does a foreigner need a local bank account in Ontario if purchasing real estate? Yes. Given that mortgage payments, potentially maintenance payments, property taxes and utilities will need to be paid using a local bank account, the foreigner will need to open one. Also, rents will need to be deposited somewhere, obviously. Are property taxes any different for foreign real estate owners? Does a foreigner need to be physically present in Ontario do open a bank account? NO. It may be a surprise to you, but the bank will, with a good standing client who will vouch for the person, be able to open a bank account for the foreigner without the foreigner being present. For details on this matter, you should speak to your local banker. As a foreigner owning real estate in Ontario, do I need a Will? 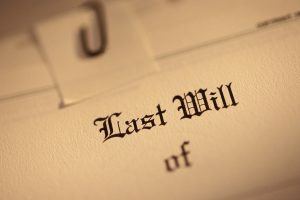 This is a complex question, but generally, if you wish to control the disposition of your property upon your death, then YES, you should have a Will prepared? Does a foreigner need to have local Ontario / Canadian identification to complete a real estate transaction. NO. But proper identification from the foreign country is required. Passport and credit card from a financial institution, or a driver’s license in English. Are there any special financial privileges or benefits to foreign buyers? Are the costs, fees, disbursements and other expenses any different to a foreigner purchasing real estate in Ontario? NO. Other than the travel expenses, there are no additional costs to purchase. Is purchasing a property in Ontario a ticket for foreigners to a permanent resident status in Canada? Not in and of itself alone. Unlike some Caribbean countries that give out permanent residencies upon the purchase of a property, this is not the case in Canada. Can a foreigner qualify for a first time buyer’s credit that is given by the Ontario (and the City of Toronto) to first time buyers. NO. Generally this credit will not apply. The credit is given to individuals who are purchasing a home for the first time and have never owned a property anywhere in the world, and who are planning on making this building their principal residence within 9 months of the purchase. These circumstances generally do not apply to foreigners, especially the last one. There can be a case where the foreigner may qualify. For instance, a foreigner who has applied for a permanent residence status in Canada and has obtained it but has not yet moved to Canada but plans on doing so. Can the lawyer retain the proceeds of sale to purchase another property for the foreigner? Sure, the lawyer does not necessarily need to release the money to the foreigner and can apply those funds to another pending purchase. Are the land transfer taxes greater or less for foreigners? NO. Again, refer to the answer in the previous question. Are there any other taxes, fees or costs other than the section 116 procedure? NO. There may be accountant’s costs. There may be increased legal fees to deal with the monies that the lawyer has to hold back and ‘manage’ for a certain time, but as a general concept, there are no additional fees, taxes or expenses. 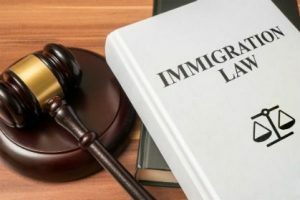 If a foreigner has a spouse but purchases on his name alone, does the spouse of the foreigner need to sign any documentation? Generally, NO. A spouse only needs to sign consent on a mortgage that is being arranged on a matrimonial (family) residence. Given that the foreigner will not be residing in the property with his spouse, then the spouses’ signature is not required. This of course does not apply to situations where both spouses are purchasing the property and taking title. In this case, both will have to be present to sign the documentation. Can a foreigner be not a non-resident for tax purposes? Yes. Not all foreigners (i.e. persons living in Canada who are not Canadian permanent residents or Citizens) are non-residents for income tax purposes. Can documentation be signed over skype or some other fashion such as at an embassy or a foreign notary’s office? This is a very individualized question and is assessed on a case by case basis. Although, it is possible to complete a transaction in such a fashion, only a detailed discussion with yourReal Estate lawyer can determine whether that is possible. Can a foreigner not lie about his status as a non-resident? Yes, a foreigner who is a non-resident can try to lie, but if the seller’s lawyer suspects that his client is a non-resident, he will not proceed with the transaction on any other basis and the seller will either have to comply with the process or change lawyers. The tax system in Canada is based on a voluntary disclosure system of honesty. Are there any restrictions on a foreigner selling real estate in Ontario? NO. A foreigner can sell real estate in Ontario just like anyone else. Can you refinance when your mortgage is underwater? In theory, you can. Again, you must think of the two step process referred to above. 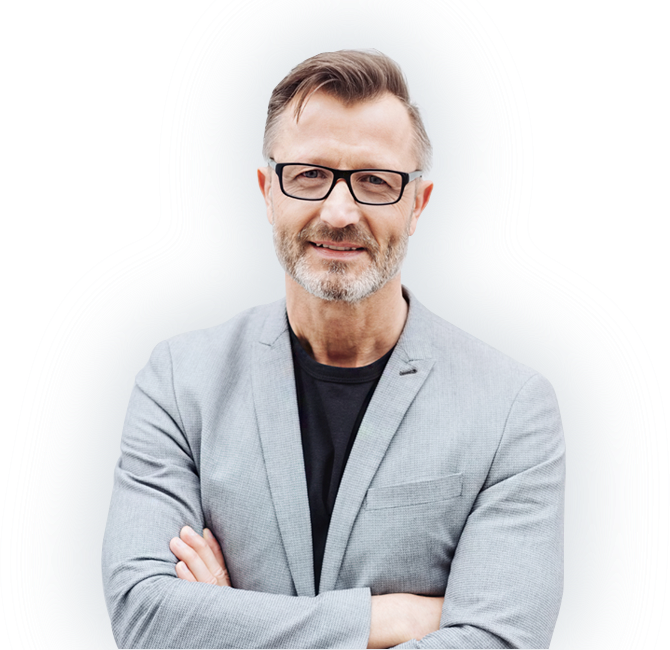 If you are able to find a lender willing to lend you money even though you are underwater with your current mortgage, then your lawyer will proceed to complete this new loan transaction according to the instructions that he receives from the new lender. How will a purchaser know if the seller is a foreigner (non-resident for tax purposes) or not? On closing, a seller must provide a special document to the purchaser that says whether the seller is a non-resident or not a non-resident. 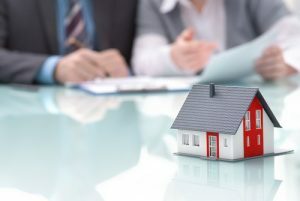 It is ultimately not the purchaser’s duty to determine whether the seller is or is not a non-resident, unless of course the purchaser has specific knowledge. If the seller advises his lawyer that he is a non-resident for tax purposes, then the procedure outlined above kicks in. 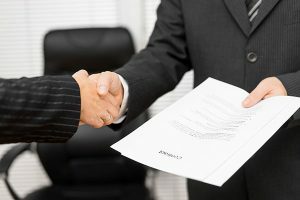 If the foreigner signs a certificate stating that he is not a non-resident, then the procedure above does not kick in and the seller gets all his money on closing. The purchaser in this case is free of any liability, notwithstanding whether the foreigner was honest or not. 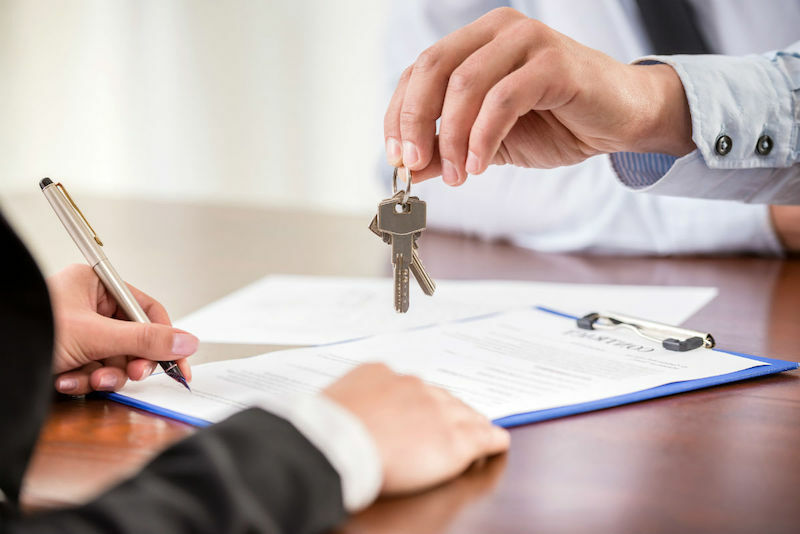 It is the purchaser’s role to ensure that he either obtains a document from the seller stating that the seller is not a non-resident or otherwise ensures that the seller’s lawyer holds back the 25% of the purchase price. Are there special taxes, fees, levies etc…when a foreigner (non-resident for tax purposes) sells real estate? YES. Foreigners selling real estate will have to undergo a special procedure that Canadian residents do not. A foreigner does not benefit from the Canadian exemption of income tax on principal residence for the obvious reason that the property is not his principal residence since he lives abroad. Thus, in order to ensure that the Canada Revenue Agency gets their share, they pin the tax liability on the purchaser. Therefore, the purchaser must ensure that the seller pays his fair share of the taxes. Because of this, a special procedure has been implemented when a foreigner sells property. The procedure is as follows: When the deal comes to a closing with the lawyer, the seller’s lawyer (although the requirement is on the purchaser’s lawyer, but practice has developed such that the seller’s lawyer participates in this) will retain from the seller 25% of the sale price. For instance, if the sale price is $1,000,000, then on closing, the seller’s lawyer will hold back $250,000 from the seller and release to the seller only $750,000, less of course any mortgages, commissions etc…After closing, the seller will hire an accountant to submit to the Canada Revenue Agency a special application outlining the profits that the seller earned on this real estate. The profits are generally calculated by taking the sale price, subtracting all expenses (yes, including commissions), subtracting the purchase price and all expenses associated with the purchase price, and arriving at a final number. The Canada Revenue Agency will then assess this application and issue a certificate referred to as a Section 116 certificate. 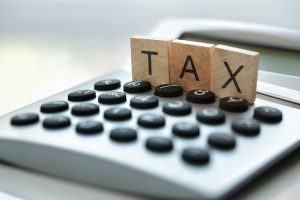 The reason its referred to as a Section 116 certificate, is because the certificate is issued pursuant to section 116 of the Canadian Income Tax Act. The certificate will be sent to the accountant and it will state how much money the seller must pay on account of the income tax. This figure will likely be approximately 25% of the profit (not the sale price). For instance, if your net profit was $200,000, then $50,000 will be payable to the CRA. The certificate will also say that upon the seller paying $50,000 to the CRA, the purchaser is free from any liabilities, because remember, the liability was on the purchaser to ensure that the seller pays his fair share of the taxes. The lawyer who represented the seller will then take $50,000 from the $250,000 that he was holding back, and pay that money to the CRA releasing the balance to the seller. The seller has 10 days to submit the application to the CRA after closing, otherwise there are very large penalties.